Cypress Semiconductor Corporation (NASDAQ:CY), The Blackstone Group L.P. (NYSE:BX), AT&T Inc. (NYSE:T) are among the top three high dividend picks of Jim Cramer. Each of these stocks has dividend payouts in excess of 2.88 percent with AT&T having the highest dividend. AT&T Inc. (NYSE:T) is among one of the high dividend picks of Jim Cramer and it offers dividend payouts of 5.67 percent. The shares of the telecom company are trading at $33.18 with current P/E ratio of 10.17. It is important to consider that the telecom company is expanding its network in Mexico with recent acquisition of Nextel Operators and earlier acquisition of Iusacell. 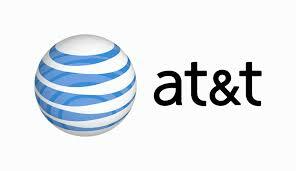 AT&T Inc. (NYSE:T) is in the list of high dividend picks of Jim Cramer for past several weeks. The American telecom company has current market cap of $173.38 billion with institutional ownership of 53 percent. The Blackstone Group L.P. (NYSE:BX) comes next in the list of high dividend stock picks of Jim Cramer and it offers current dividend payouts of 5.27 percent. The Blackstone Group L.P. (NYSE:BX) is the only private equity firm that Cramer recommends and he said, “This is the only private equity company I recommend.” Cramer mentioned Blackstone in the fourth portfolio of his “Am I diversified” section. The shares of Blackstone group are trading at $36.45 with current P/E ratio of 13.33. Cypress Semiconductor Corporation (NASDAQ:CY) has been on Jim Cramer’s top stock list for several weeks and he has mentioned it at least 8 times in the last 30 days. The semiconductor company has current dividend payout of 2.88 percent and its shares trade at $15.27 with current P/E ratio of 143.96. In addition to its promising performance in the last few weeks, Cramer also said that Cypress Semiconductor Corporation (NASDAQ:CY) is his favorite semiconductor company for 2015.